Want it by Wednesday 24th April? Order within 2 days, 20 hours, 23 minutes and choose Next Working Day - Kerbside Delivery (Order Must be Placed by 2pm) at checkout. This underlay has been specifically designed as a low tog rating which is suitable for use with underfloor heating systems. Tog rating is the thermal resistance given to product. The lower the tog rating the better it is for underfloor heating as it is less likely to restrict heat from reaching the floor covering. A tog rating of 1.5 or less is generally recommended for underfloor heating products. 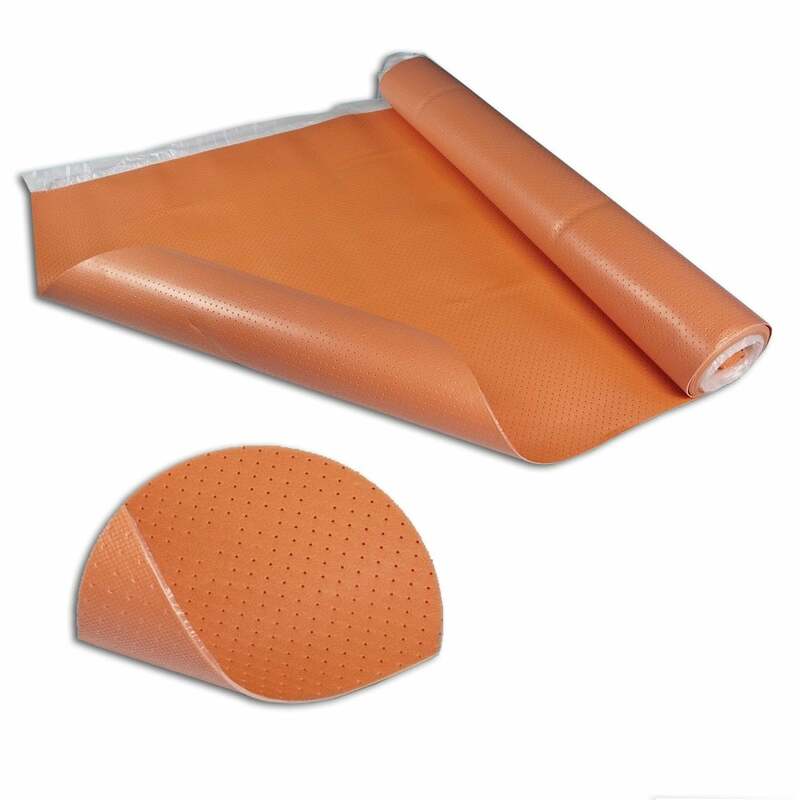 This underlay is rated at a ultra low 0.23 tog which helps maximise the amount of heat transferred to your new floor. With such a low tog rating this floor will aid in warmimg your home. Ideal for use in areas of high/heavy traffic. To maximise the lifespan of this product and ensure that it is used to its full capacity it is essential that your underfloor heating is installed and in full working order for a minimum of eight weeks before your underlay and chosen floor are fitted. Underfloor heating can massively effect your installation process, so be sure to contact a professional fitter to ensure you are buying the right products for your home. After shopping around for a while, none of the items managed to match the spec of this underlay. We were slightly wary on buying such an item online without having seen it. But after making the purchase, the delivery was prompt with the item arriving well packaged, no damage. After unpacking the item we found that the item is 100% as described and matched our expectation. It was a breeze to install - we had slightly uneven (not too much - 2-3mm) screed-ed sub-floor and it did the job well for evening the floor during the lay of laminate. Still waiting to turn on the UFH to test how well it performs but after the laminate flooring is laid it will be hard to judge the underlay due to there being a number of factors that may affect the performance. But generally it looks like a good product - Happy Customer! Would recommend to anyone.